I was fortunate enough to be able to go on a week-long birding trip to Central Europe with Birdwatch Ireland. It was my first long-birding trip, and the longest time that I would be away from my kids since my daughter was born over five years ago. Myself and 34 other birders would spend 6 hot, sunny days looking for birds in Austria, Hungary and Slovakia from our base in Illmitz. The town is situated within Austria's only steppe nationalpark, Neusiedler See. The area was composed of a very large lake, extensive reed beds surrounding the lake, various smaller, brackish ponds and extensive meadows and farmland. Which put together offered the potential for a variety of bird species to see. We left Ireland early Tuesday morning June 2nd and landed in Vienna just before lunch. We met our Austrian guide, Leander Khil at the airport and boarded our very large, white motorcoach. 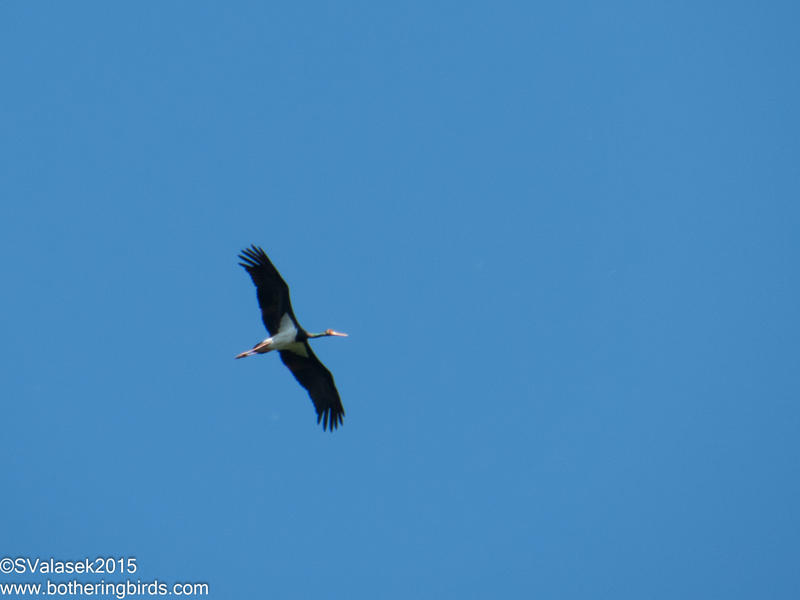 Our first stop was to a local cafe in Fischamend for lunch, and my first lifer tick of the trip, a Black Stork circling overhead. We picked up some other common European species: Common Swifts, Common House-Martins, Carrion Crows, House Sparrows and White Storks sitting atop large, rooftop nests. Our second stop was a wooded area near Marchegg, just a few hundred meters from Slovakia, and along the March River. 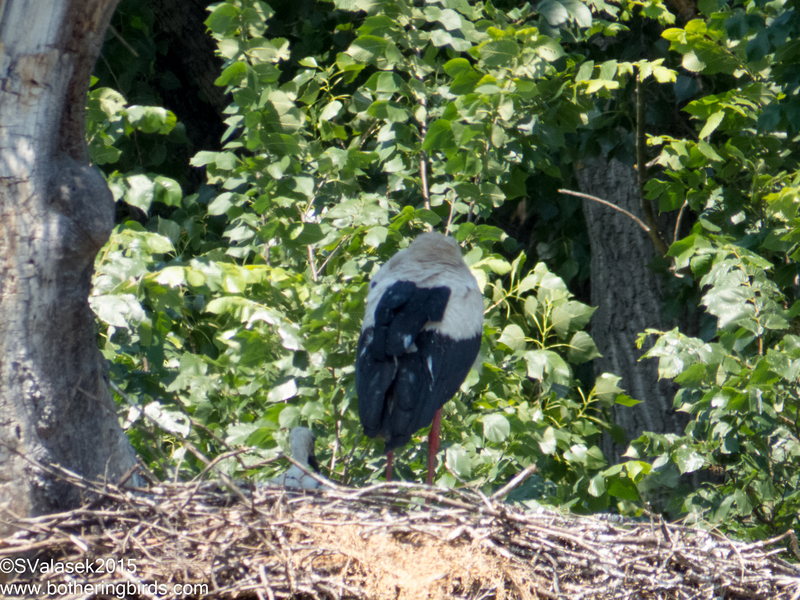 This area is special because it's the home of the last tree-nesting White Stork colony in Europe. They've moved onto houses everywhere else. 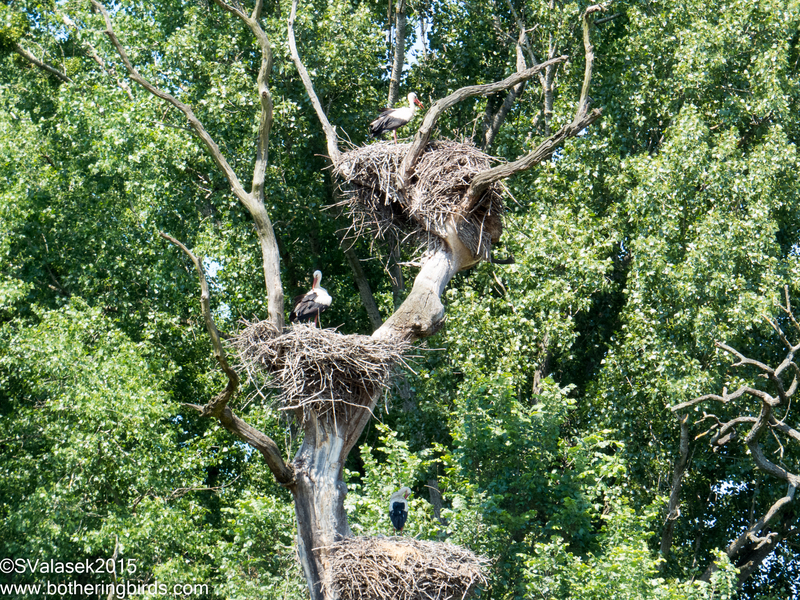 But seeing their nests on trees near an old castle really makes you feel like you are in Europe. 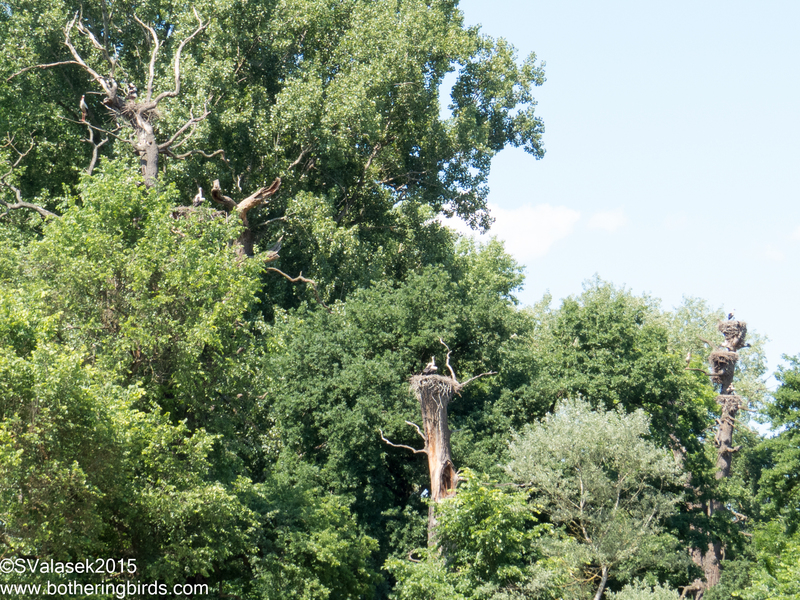 Some of the trees held multiple nests, around 50 in all throughout the surrounding forest. This tree had 3 levels of nests in it. And if you look closely to the one in the bottom-most nest, you will see that it never good to be on the bottom of the pecking order. 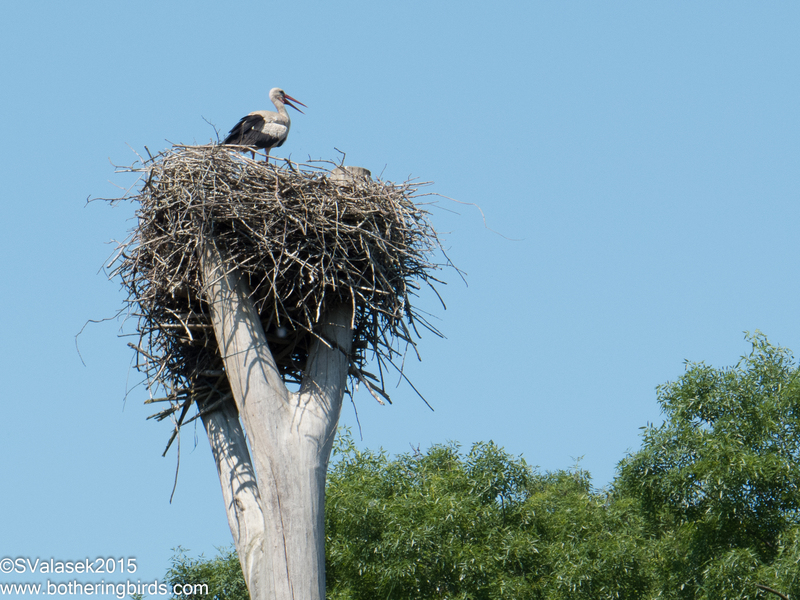 It wasn't just Storks in the area. I picked up my second lifers of the trip, Collared Flycatcher and Lesser Spotted Woodpeckers, 36 species in total. Unfortunately, we wouldn't see Collared Flycatchers again, and I never got a good photo of one. In addition to the birds, there were quite a few other animals about. 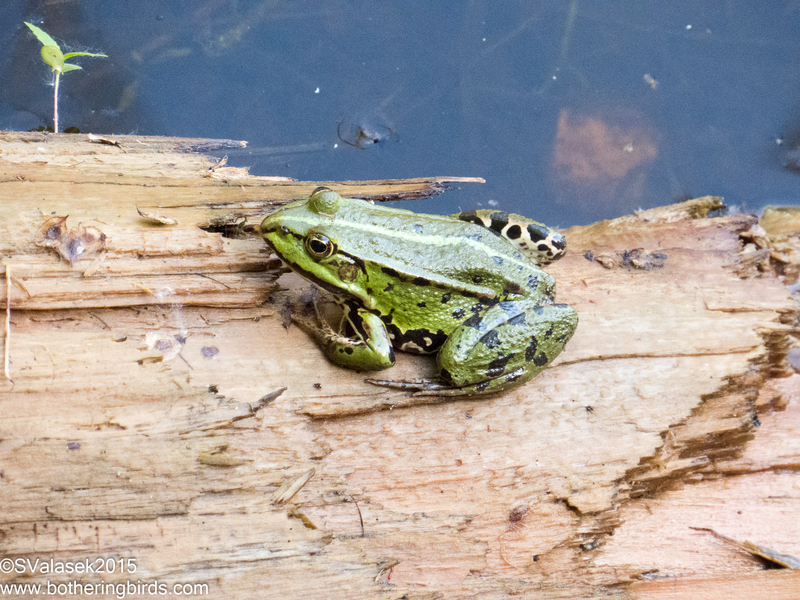 Edible Frogs (yes, that's their name) were in the water all around us. After reaching the town of Illmitz and checking into our home for the next week, we had a nice dinner and started getting to know one another a bit better. 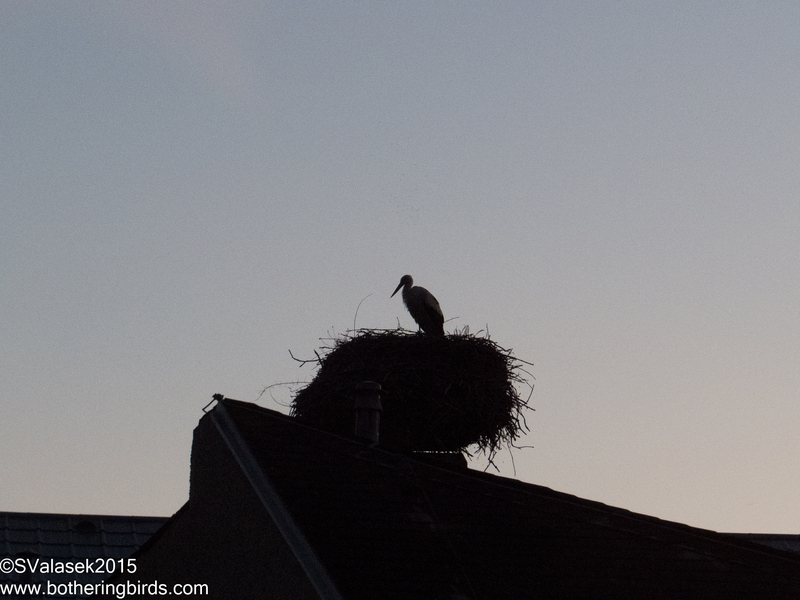 But as the day was ending, I noticed my neighbors across the way, a White Stork family. I'll be making each day it's own post since we would concentrate on a particular area, and thus get some different birds each day.